Hawaii is known for its beaches and surfable waves, but did you know it’s also home to one of the world’s tallest mountains? Mauna Kei is on the island of Hawaii (aka the Big Island), and it’s one of the great wonders of the world! Measured from the sea floor to its summit, Mauna Kei is the tallest mountain in the world — even taller than Mount Everest! Last eruption: 4,600 years ago! 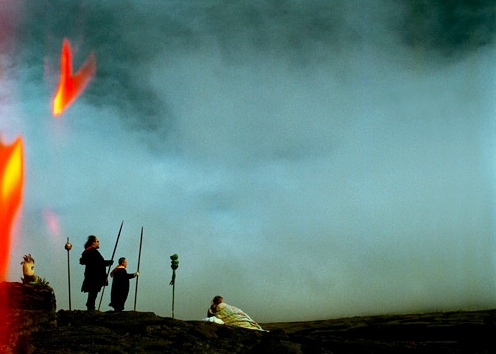 Mauna Kei is sacred to the indigenous people of Hawaii. It means “White Mountain” in their language. According to traditional beliefs, Mauna Kei is the first born son of the sky father Wākea and the earth mother Pāpā. The summit of the mountain is so high that no trees can grow. This space is particularly sacred to indigenous Hawaiians, who believe that it is the meeting place of heaven and earth. It is a traditional burial ground, and there are many family shrines there. 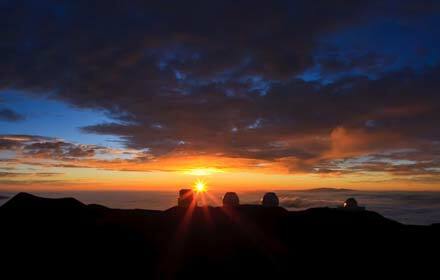 Mauna Kei is also home to a number of world-class observatories. Its height and climate makes it an ideal place for watching the galaxies! However, many indigenous Hawaiians are concerned about the effect that these large developments have on their sacred lands. Hopefully the observatories that are there will find a way to gaze at the stars without causing any more damage. Respect and love are always good rules to live by! There are a number of ways to visit Mauna Kei and appreciate its mytical beauty. The Mauna Kei Trail to the summit is one way, but it’s not for the inexperienced hiker! The mountain is so high that sometimes people feel a bit sick if they climb up too fast! More casual day-visitors might consider a trip to the Kīpuka Pu’u Huluhulu. It is a unique ecological phenomenon, where lava meets lush vegetation — you have to see it to believe it! At Mauna Kei State Recreation Area, you’ll find all sorts of walking trails, bird-watching and look-outs. Mauna Kei is a beautiful place to visit. The sunsets are out of this world! If you do make the trip, be sure to be respectful of the sacred history of the White Mountain. To learn more about the history and see more photos of Mauna Kei, see Tom Whitney’s informative site.